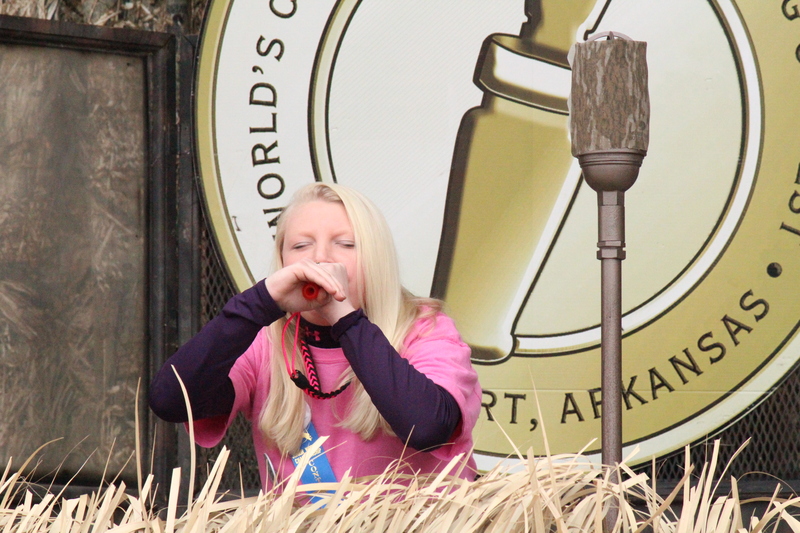 A Stuttgart contestant in the Junior World Championship Duck Calling Contest on Saturday. It’s finally here. It’s Wings Over the Prairie Festival time here in Stuttgart and hunters are sprawled all over downtown Stuttgart as they listen to the sound of duck calls. I’ve been covering duck calling contests all morning, and can happily announce, I have just finished covering my last one. Yay! Now, its time to check out the other parts of the festival: The Carnival and Gumbo cookoff! Can you say FUN! !